Eine gute Mischung - das Toshiba Portégé M800-11B richtet sich eigentlich an Business-Anwender, ist aber auch für Privatnutzer sehr interessant. Es bietet hohes Rechentempo, gepaart mit geringem Gewicht und ordentlicher Akkulaufzeit - und sein Design fällt auf. Display, Tastatur und Ausstattung sind mittelmäßig - was aber bei diesem Preis nicht ungewöhnlich ist. Solide Anwendungsleistung, geringe Geräuschentwicklung, optimale Anschlussvielfalt – Drei Kernpunkte, die das aktuelle Toshiba Portégé M800 mit sich bringt. Eine sehr gute Wertung erreicht das Gerät nicht nur durch das durchaus ansprechende Design. Alle Komponenten harmonieren für den Office-Bereich optimal miteinander. Freunde der HD-Vielfalt werden sich über HDMI sowie einen Firewire-Port zum Anschluss von HD-Kameras freuen. Eine schnelle Datenübertragung zur externen Festplatte wird per eSATA gewährleistet. Ein Netbook ist klein, leicht und ... leistungsschwach. Wer mit seinem Gerät mehr machen möchte, als nur surfen oder etwas tippen, für den gibt es zahlreiche Alternativen. Wir testen günstige (Sub)notebooks. Schickes Multimedia-Talent: Dank HDMI lässt sich das M800 problemlos an den LCD anschließen. Sie sind so groß wie nötig, um ergonomisches Arbeiten zu ermöglichen, und so klein wie möglich, ohne übermäßig gedrosselte Hardware zu beherbergen: Notebooks mit 13.3 Zoll-Display. Wer seinen Rechner oft mit sich herumträgt, aber auch häufig daran arbeitet, liegt bein dieser Kategorie richtig. Einige Hersteller schaffen es sogar, bei gleichem Gewicht ein 14-Zoll-Display einzubauen. Wo liegen die Schwachstellen dieser immer beliebteren Klasse? Toshiba Portégé: drei Jahre weltweite Garantie, Firewire, eSATA und HDMI, aber kürzeste Laufzeit im Test und Spiegeldisplay. Das Portégé M800-101 gefällt ganz besonders durch sein schickes Äußeres und die tadellose Verarbeitung. But the Toshiba’s greatest problem is the competition. With the likes of Lenovo ThinkPad X200 proving cheaper and better in almost every regard, it just doesn’t do enough. With the Portégé M800-106, Toshiba delivers a 13.3in notebook that's attractive enough, eminently portable and stuffed with features. It also continues Toshiba's reputation for excellent notebook speakers. However, it's let down by an average screen and incredibly poor battery life, meaning that if you want to use it on the move you'll have to spend close to £100 more to get the desired performance. This, ultimately, makes the M800 disappointing value for money despite its other potential strengths, so Toshiba should be kicking itself for its penny-pinching since it makes an otherwise good notebook rather ordinary. 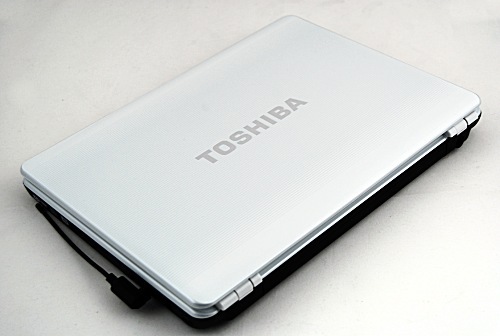 Overall, the Toshiba M800 is a winner in terms of looks and design. The white and glossy finish is just too attractive to dismiss and while I was out and about over the weekend, I spotted a pastel pink M800 and thought that was equally riveting — in a girly way. White, however, is the new pink and is neutral and non-gender specific. That said, the M800 is great for those in need of a stylish notebook that exudes an air of professionalism. The Toshiba Portégé M800-106 is a highly appealing laptop that manages to blend style and performance in one easy to use package. Those looking for a powerhouse machine they can carry around on a regular basis will be impressed with what it has to offer. For a long time it was only Apple's laptops that came in white, but now they're ten-a-penny. 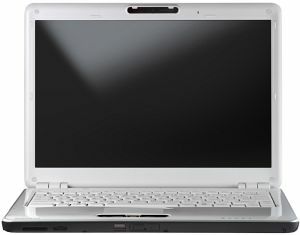 Even the sub-£200 Eee PC and its gang of low-cost netbooks are clad in white these days. But despite lacking the exclusivity that it once brought, the finish looks stylish on Toshiba's latest laptop. A nod to Apple's iconic design from Toshiba, but perhaps the original is best. While the performance of the Toshiba Portege M800 wasn't anything mind blowing, it makes up for this by delivering a smooth multimedia experience that should please the senses. The built-in FM radio reception worked surprisingly well and before you dismiss it as a gimmicky snag, at least the tuner does provide some entertainment on the go without stressing the battery excessively. Audio playback was also adequate, and was capable of clear and crisp audio results. Just don't except any hard-hitting bass from the tiny speakers. The M800 does have its fair share of concerns, though these are mostly minor that can be easily overlooked. For example, the screen was glassy, vibrant and clear dead-on, but suffered from mild color shifts and a washout when our eyes strayed off the vertical axis slightly. If you think about it positively though, that means you're ensured some privacy when viewing your screen. So like we mentioned earlier, there's nothing really glaring to be concerned on the M800. Retailing at a cool S$2299, the Toshiba Portege M800 will not burn that big a hole in your pocket unlike some of the other 13.3-inch ultraportable notebooks, so why not test-drive the M800 if you're looking for a stylish rig that delivers a pretty decent overall experience?